Mardi-Ellen Hill is a groundbreaker in the world of business synergy and integration. She has won international acclaim in multiple fields. In 2002, she was the recipient of an award from the American Society of Composers and Publishers (ASCAP) for her work as a pioneer in the world of music invention and application in multiple markets. In 2000, as a professor at LIU, Ms. Hill was selected to represent the University in Washington D.C., at the definitive educational/literacy conference on "Intellectual Property and Distance Learning", sponsored by the PEW Charitable Trust. She also developed/executive produced a Leadership Symposium where she introduced Kenneth K. Fisher, Brooklyn Representative to the New York City Council, as the keynote speaker. In 1995, Banque Nationale de Paris tapped her technical talents as business analyst by sending her to review and oversee their systems dissemination at the International Monetary Fund Conference in Washington, D.C.
During the 90's Ms. Hill received numerous other grants and awards as composer/writer, including two awards from the National Endowment for the Arts, the Annette Kade Fulbright Grant, Works in Process at the Guggenheim Series, She received several international commissions, including being the first woman commissioned by the Group Musiques de Vivantes in Lyon France, the French Consulate, the Canadian Consulate General and the Royal Bank of Canada. She has served as judge and panelist of several international competitions, and state and federal arts programs, including the Brooklyn Arts Council. Ms. Hill has had front page stories and other articles written about her in The Brooklyn Heights Press, The Music Connoisseur, Newsday, Artspeak, and The Boston Herald, and she has been interviewed on National Television. 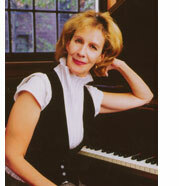 A graduate of Bard College, Ms. Hill's graduate work was completed at Longy School of Music. She taught at New York University, LIU, Marymount Manhattan College, and she has lectured at Bard College, Mount Holyoke College, State University at Stoneybrook and other universities. Currently, she is completing a book/game series as a business vehicle; and a legal thriller, "Star Child", about a child's DNA code musically encrypted in a city plan, as a new entertainment franchise model that presents an innovative platform for copyright in a wireless world.